Shopify is one of the most comprehensive cloud-hosted eCommerce development solutions available today. If you’re looking for the perfect platform for your online store, Shopify could be the ideal choice. Shopify boasts over 200,000 merchants worldwide. This guide will go over the advantages and disadvantages of using Shopify as your eCommerce solution. You can easily set up your site within minutes using the theme customization tool. There are hundreds of templates to choose from and Shopify’s dozens of different customizable options make it easy to create a unique online store. 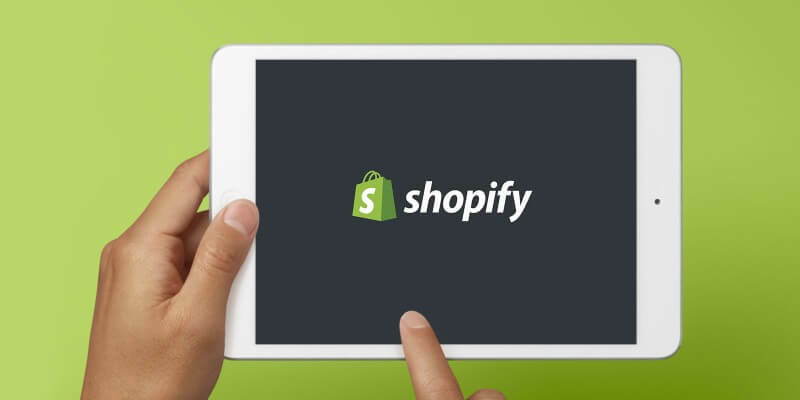 See for yourself, Shopify released a video on how to setup your store in less than 25 minutes. Interface – Shopify offers a streamlined interface that makes it easy to add, edit, and organize your products. You can instantly access templates, color layouts, picture layouts, and effects. Themes – There are more than a hundred free and premium templates on the Shopify Theme Store. Some of the themes have even been designed by famous designers including Pixel Union, Clearleft, and Happy Cog. Shopify offers a theme settings editor that allows previewing your storefront when changes are made. Automatically handling country and state taxes based on your location. Offering a checkout page in more than 50 different languages. Ensuring your site remains online with 99.99% uptime and 24/7 monitoring. Providing a mobile app that allows you to manage your store on the go. Using a Content Delivery Network that accelerates page speed of your store. With Shopify, you may not have to invest as much in SEO as you would with other platforms. The eCommerce development platform has built-in SEO features that support best practices including customizable H1, title, and meta tags. Shopify provides easy editing capabilities, allowing quick adjustments of your meta descriptions and alt tags whenever you edit your product page. The SEO-friendly content management system (CMS) generates your meta descriptions, tags, and sitemap.xml file automatically, allowing increased search engine visibility and page discovery. Shopify has an experienced and dedicated customer support team that is available 24/7 by email, live chat, or phone. They also offer a detailed documentation page that provides instant answers to common questions. Shopify’s impressive customer service combined with UKIE WEB’s reliable eCommerce design and development in Columbus, Ohio give you the best solution for developing your online store. Shopify offers a rich list of built-in features that vary based on the Shopify plan you choose. Abandoned Cart Reminder – Shopify’s Professional plan offers a powerful abandoned cart recovery feature. This automatically sends out emails to customers with a link to their abandoned shopping cart, prompting them to complete their order. Gift Cards – Also found on the Professional plan, gift cards provide increased brand awareness and further optimizes your customers experience. Shopify’s gift cards are flexible, offering customizable price denominations. You can personalize this further with custom gift card emails and balance notifications, all controllable on your own admin page. Discount Coupons & Codes – Shopify allows you to easily generate discount codes for your products. You can also customize the code to specify the number of times coupons can be utilized, which products/collections they can be used on, and the minimum order price to apply the discount. New Feature Integration with Apps – In addition to all the built-in features, Shopify offers the inclusion of additional features through apps. With a simple click, you can integrate things such as accounting and even affiliate reward programs. Shopify’s app store has more than 1,000 different plugins that allow for the ultimate customization of your store. One of the most complex aspects of eCommerce development and management is handling payments. Platforms such as Magento or Wordpress require additional add-ons to manage payments. Shopify integrates with 70 different payment gateways across the world, making it easier than ever for customers to pay you. A robust analytics system that tracks product sales, customer traffic, and more. Manage your entire inventory by tracking stock counts. Fulfill orders simply with a daily order management page. Capture payments, process refunds, and perform customer outreach. When importing products, Shopify handles all the hard work for you. Shopify can extract information from a CSV file, turning all the data into products on your store. This allows you to save time by easily adding multiple products to your site, all at once. Accept payments for your Shopify store in-person. Easily process credit card payments with a card reader. Print out receipts with additional hardware options. Automatic syncing of products, customers and sales. Complete mobile solution to managing your store on the go. Shopify offers a free 256-bit SSL certificate for all online stores, allowing your customers to connect through HTTPS. Furthermore, Shopify meets industry standard security specifications by offering a PCI Compliant checkout flow. These additional security measures provide peace of mind by safeguarding both you and your customers data. There are plenty of reasons to choose Shopify for developing your online store, but that doesn’t mean Shopify doesn’t also have its fair share of drawbacks. The number of products you want to include in your online store determines what Shopify pricing plan you chose. Their basic plan starts at $29/month, which is comparable to Shopify competitors. In addition, some third party plugins do have a monthly cost. As you continue to customize and add more functionality to your site, you’ll find that monthly charges quickly add up. As already mentioned, you can add new features to your store using the apps provided by Shopify’s app store. But these are third party apps that come with their own set of cost, security, and quality concerns. If a developer neglects to update one of your plugins, it may cease to function. This requires you to remove features of your site that customers may like. Every website should have a development or test version where you can add and test new features without interrupting customer experience. Shopify is a hosted platform without direct access to a file system (FTP) nor database. This makes it complicated to test and upload new features on your product site. You have to use Shopify admin panel or rely on custom made plugins for developers. While Shopify has a great track record so far, it doesn’t change the fact that your eCommerce store is entirely in their hands when hosting. If Shopify goes down, so does your store. Issues such as maintenance, system outages, or updates are out of your control. The only option is to wait on them to resolve it, which could mean lost sales for you. Furthermore, Shopify can change their pricing, policies, or entire site structure any time. Shopify is extremely customizable and has a wealth of functionality. However, as with any hosted eCommerce solution, there are limits. Shopify was designed to be used as a store. If you decide to scale your business at a later date and add more rich content, you may not be able to do so. Conclusion - To Shopify or Not? When deciding whether or not to use Shopify with your business, it’s important to weigh the benefits and disadvantages based on how you envision running your business. Shopify is a great eCommerce web solution, but it may not be for everyone. UKIE WEB is one of the leading Shopify developers in Columbus, Ohio. We design and build Shopify eCommerce sites and apps for businesses of all sizes and from any industry. We at UKIE WEB also work with other eCommerce platforms as well as offer custom solutions for your business. Want to move your eCommerce store to Shopify? Not sure if Shopify is right for you? Contact us and share your ideas so we can find the best solution together. We also work with existing Shopify store owners to help improve their business.